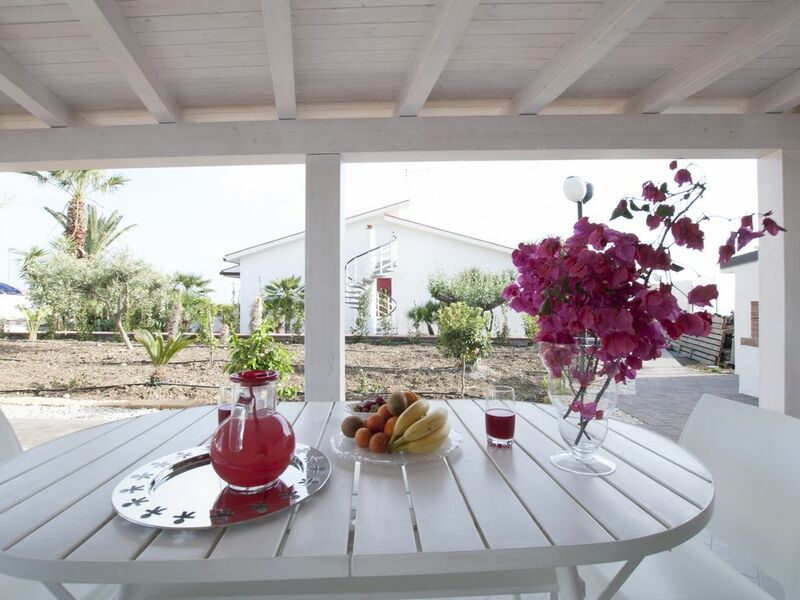 Our wonderful mediterranean villa is what you're looking for your sicilian holidays! Enjoy the mediterranean garden and its natural scents, the sea view and the golden sands of These peaceful beaches! The property includes a large garden, a veranda, a barbecue spot, a large bedroom, a living room with plasma TV and WiFi, a kitchen and a bathroom. Everything is brand new and Provides plenty of comfort and privacy to the guests. Igor's house was gated and outside of the city which made it a perfect spot to get away from it all and relax. Igor and his dad met us on the property to give us good tips and show us around. They provided fresh fruits, bottled water and juice, and plenty of croissants and toast. You will need to drive here and the wifi is limited, but a nice spot to unwind. New Home with Amazing Views! This home should rent for 2 or 3 times their price! Private gated property and 2 year old home! Great location for day trips to surrounding sites! Hosts are amazing and go out of their way to make you feel at home! Modern, Friendly, Large, Rural & still close enough to the amazing "Valle dei Templi"
We really enjoyed our short stay at the "Villa Mediterranea Junior". The owner/landlord of the property Igor was extremely helpful, caring, knowledgeable and enjoyable to work with and to talk to. The Villa actually in reality exceeds expectations of the advertised photos of it. It has a big, well landscaped yard and a bit of a view down to the Ionian Sea. The home is electronically gated and very safe and private. It was easy to load and unload the car right by the door and carport. The rooms were very clean, well appointed and the house is like new - only 2 years old. Everything at the Villa really was better than expected and we would return there for sure the next time we are in Agrigento! Mooi huis, goede slaapkamer en badkamer. Prachtige tuin om lang te zitten en te lezen met een drankje. Wifi buiten is goed, binnen is geen wifi. Geef iets beter de route, bijvoorbeeld vanaf ss115 rechts naar san leone. Maar verder goede ontvangst en snelle hulp via whatsapp van Igor. Sehr gut ausgestattet- schön angelegt. Empfehlenswert!